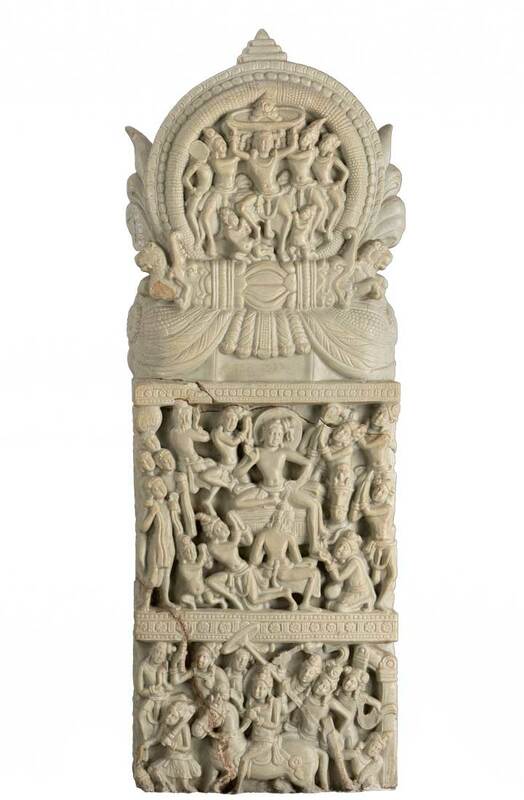 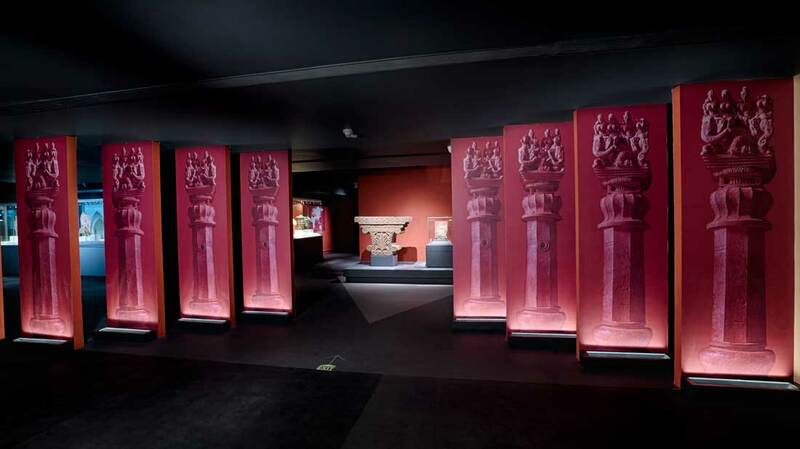 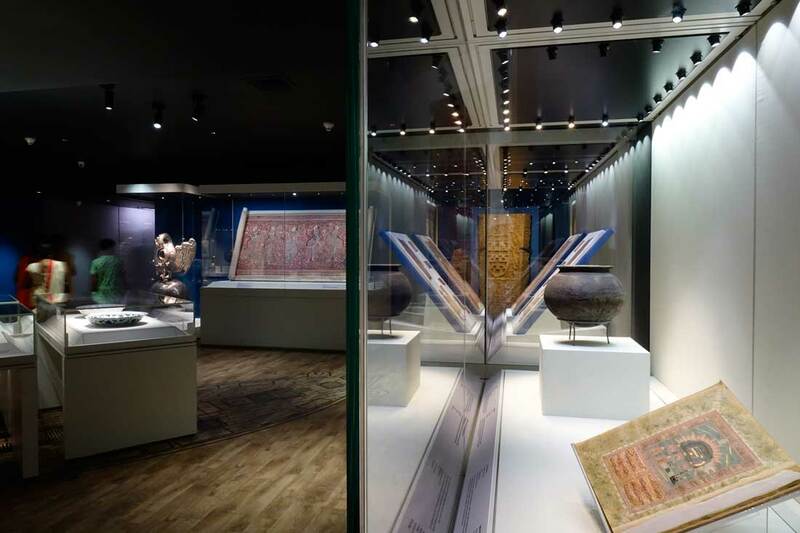 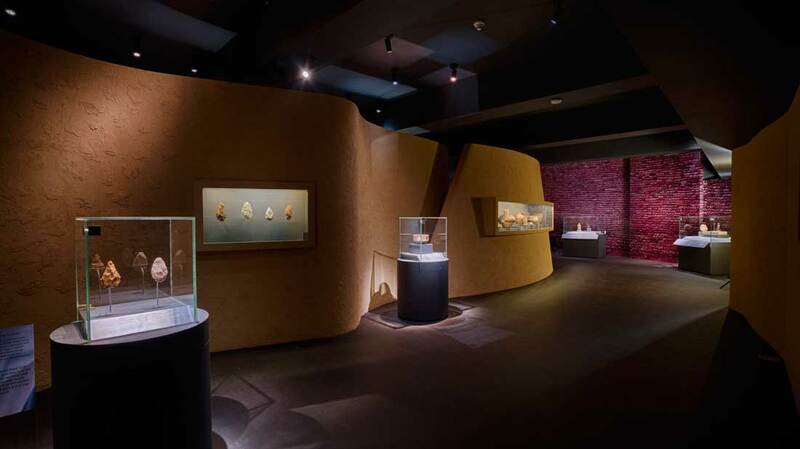 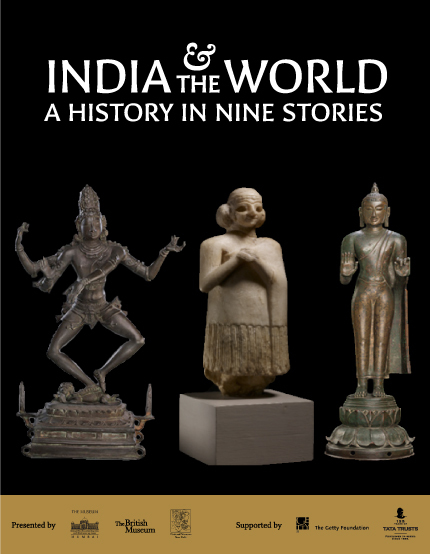 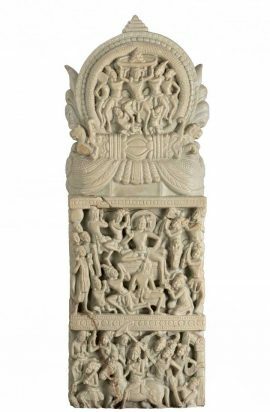 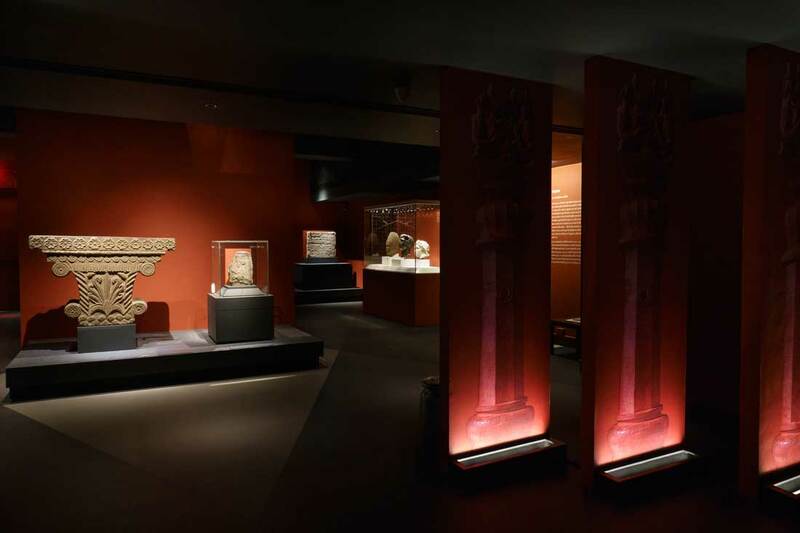 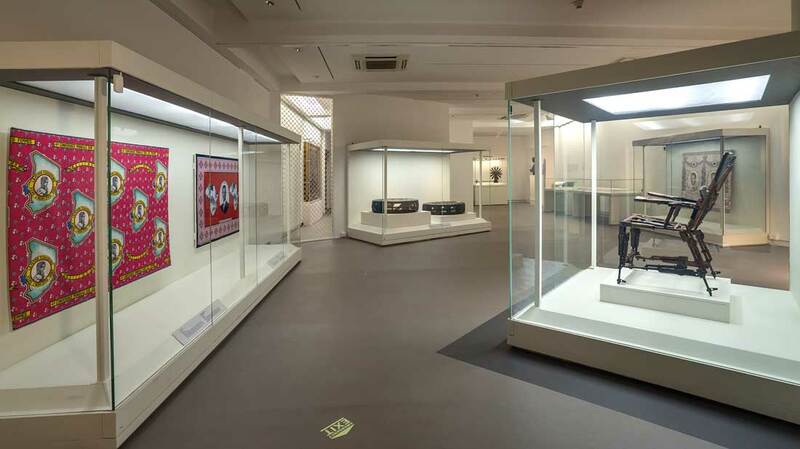 India and the World: A History in Nine Stories is presented as a collaboration between CSMVS, the British Museum, London and the National Museum, New Delhi, with the support of the Ministry of Culture. 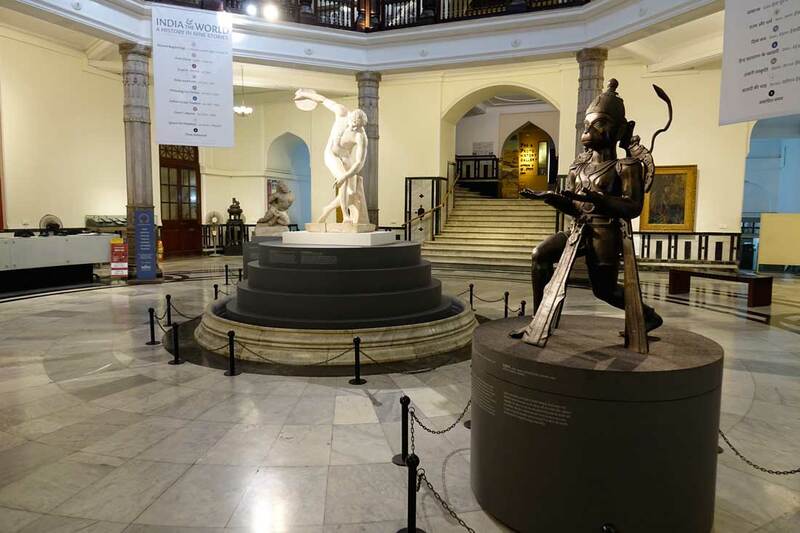 Supported by the Tata Trusts and the Getty Foundation, this project is planned to coincide with the celebrations of 70 years of Indian Independence and the year of a major cultural exchange between India and the UK. Additional support is provided by the Newtown Bhabha Fund. India and the World showcases 104 important works of art from the Indian subcontinent in dialogue with 124 iconic pieces from the British Museum. 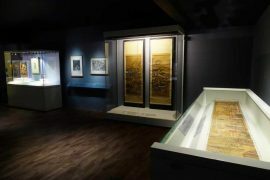 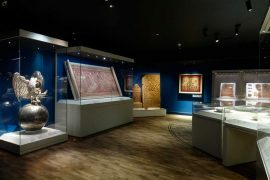 It highlights the strong connections India has shared historically with the rest of the world, promoting an exchange of ideas and influences that have helped create a global culture. 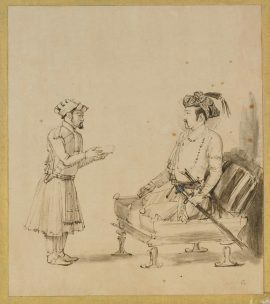 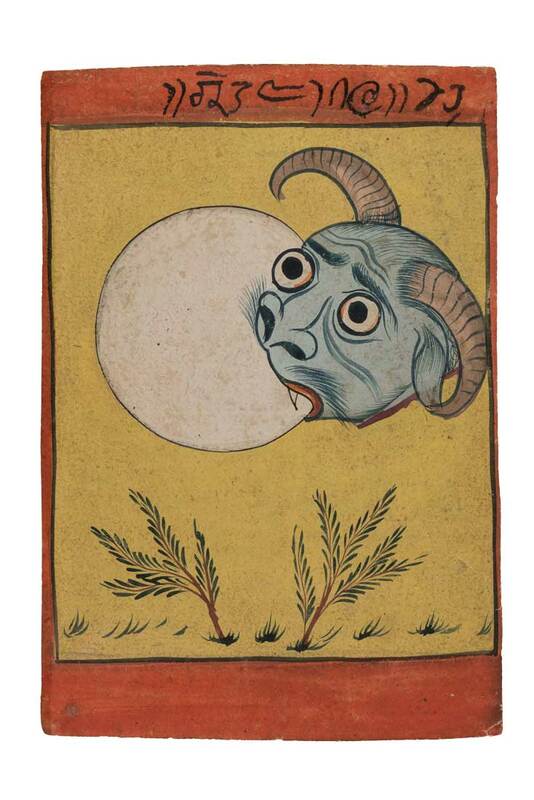 The exhibition will share with viewers nine stories drawn from important eras in India’s history. 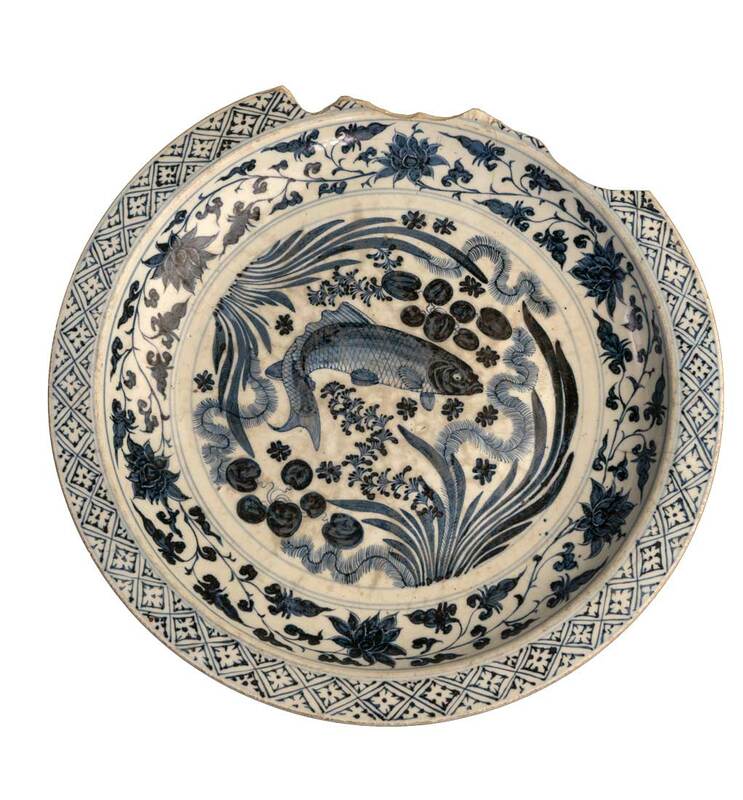 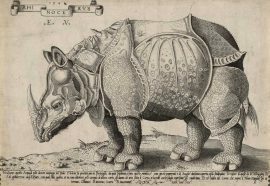 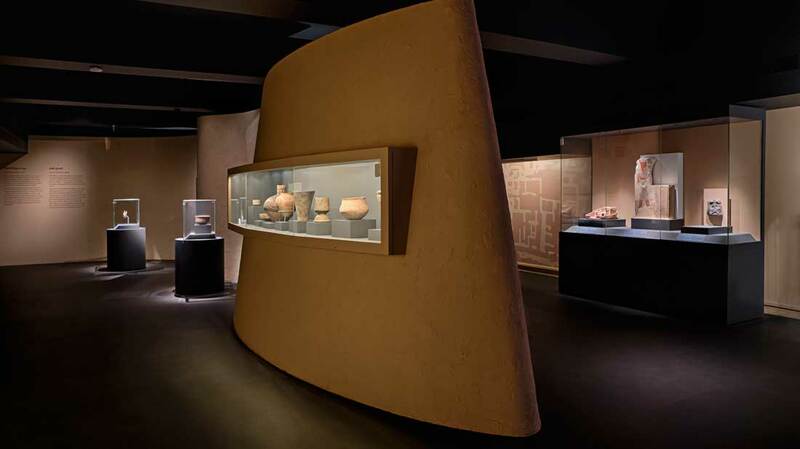 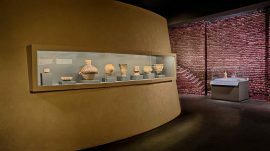 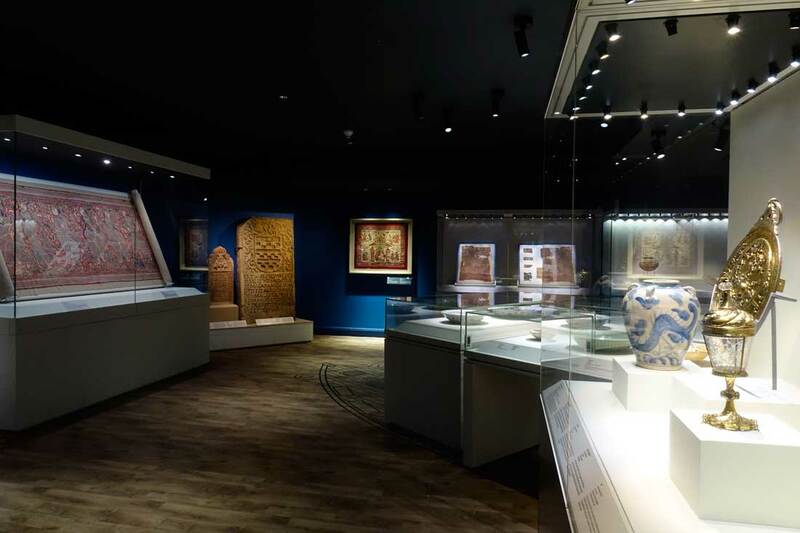 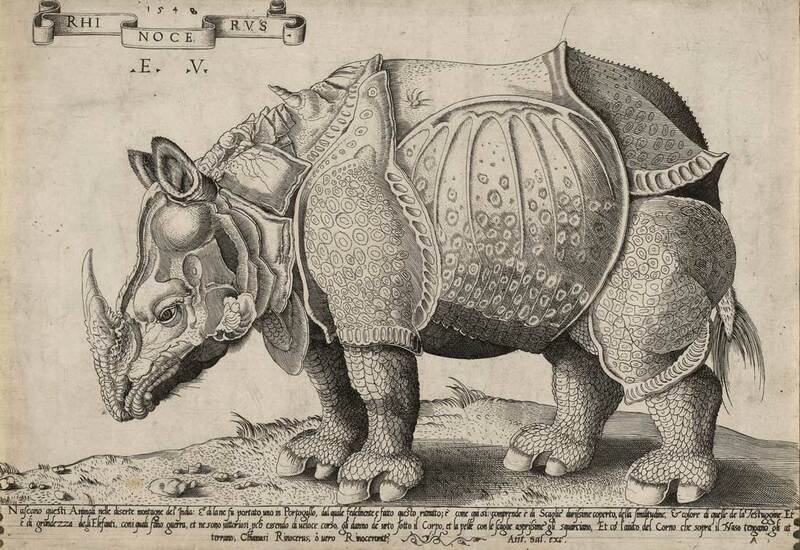 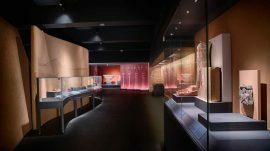 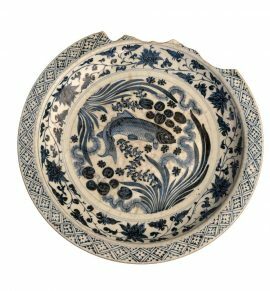 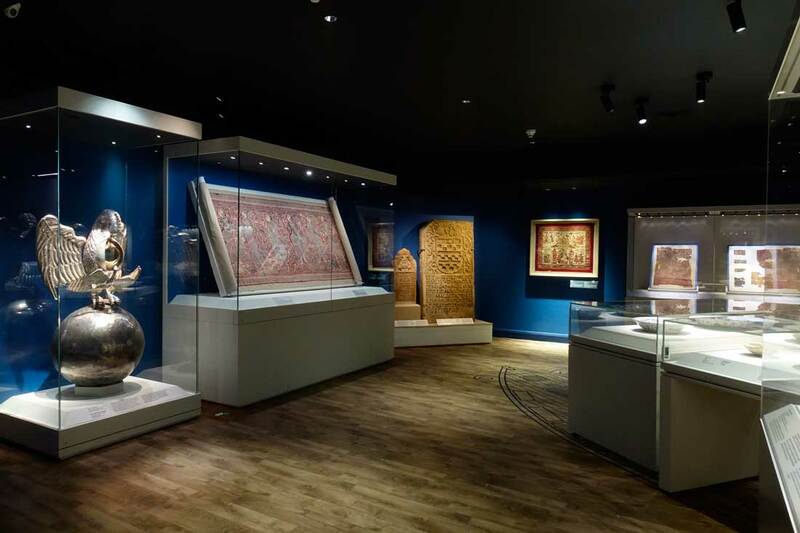 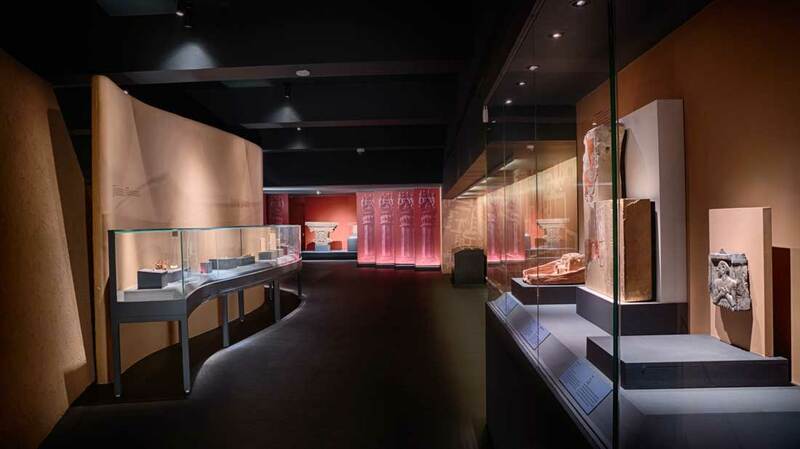 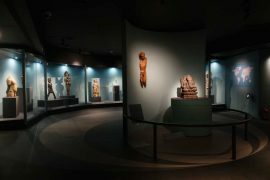 Iconic objects selected from different museums and collections across the country will be placed in conversation with objects from around the world drawn from the collections of the British Museum. 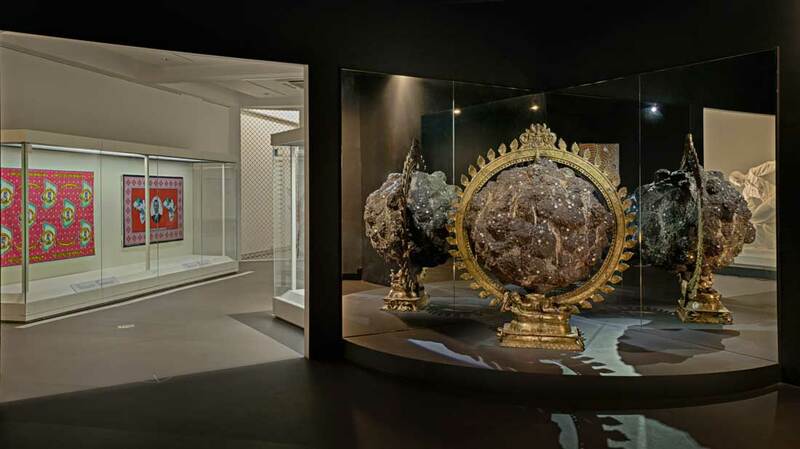 Set in a wider global framework, each group represents an important moment in India’s history. 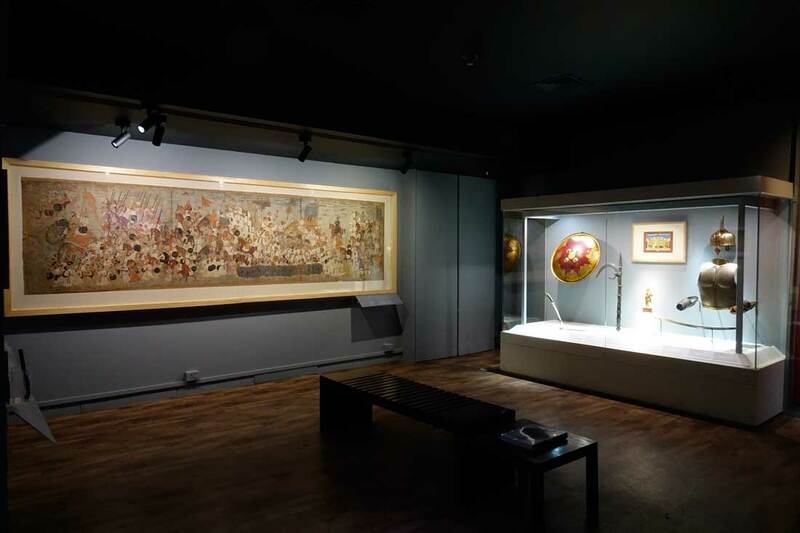 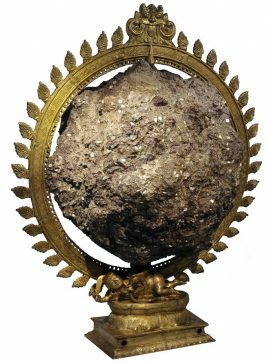 While similarities between objects and their stories can lead to an appreciation of the long and shared histories India has with the rest of the world; differences demonstrate respect for parallel systems of knowledge, as well as present opportunities to learn something new. 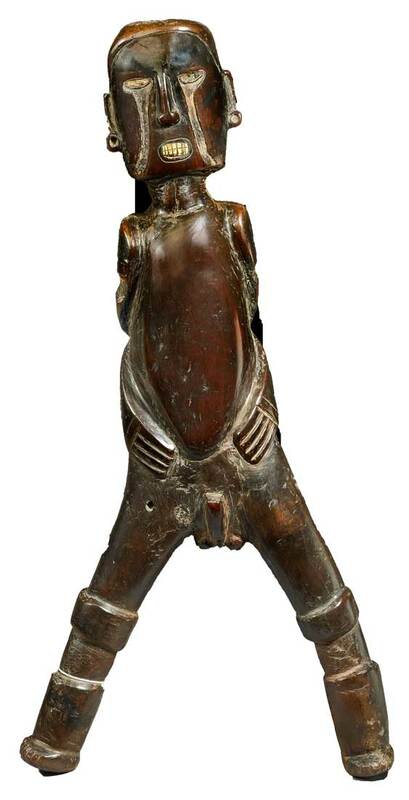 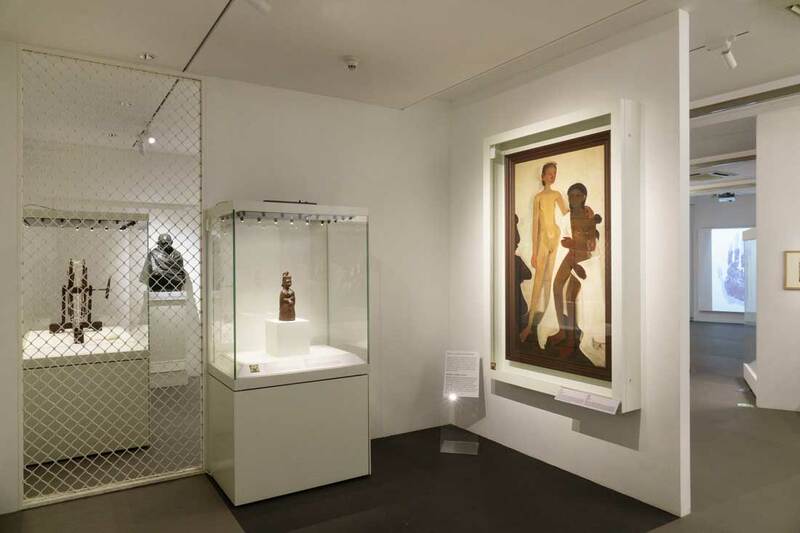 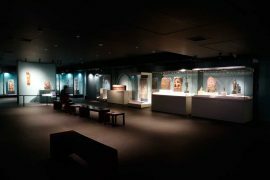 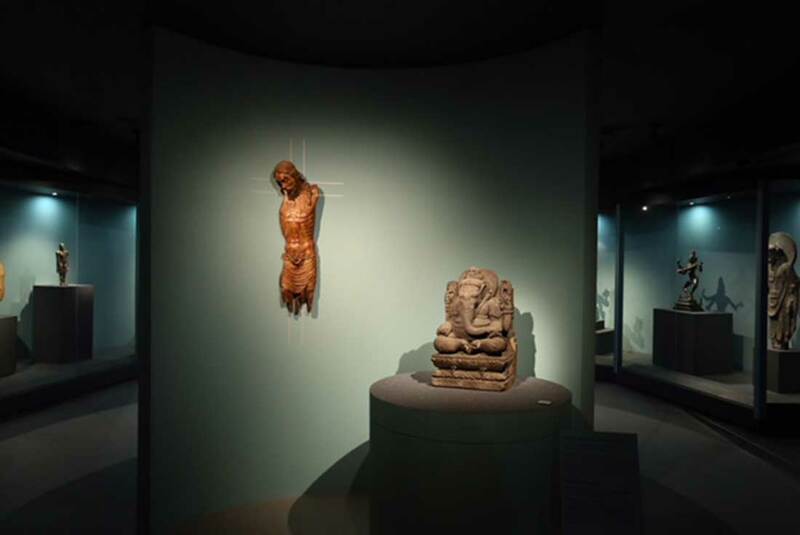 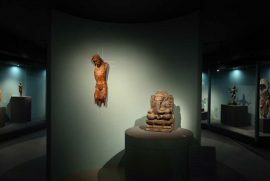 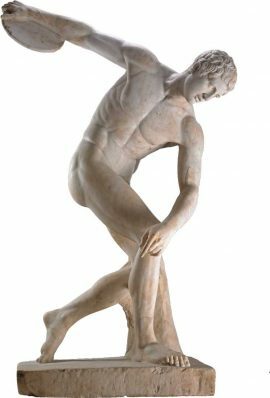 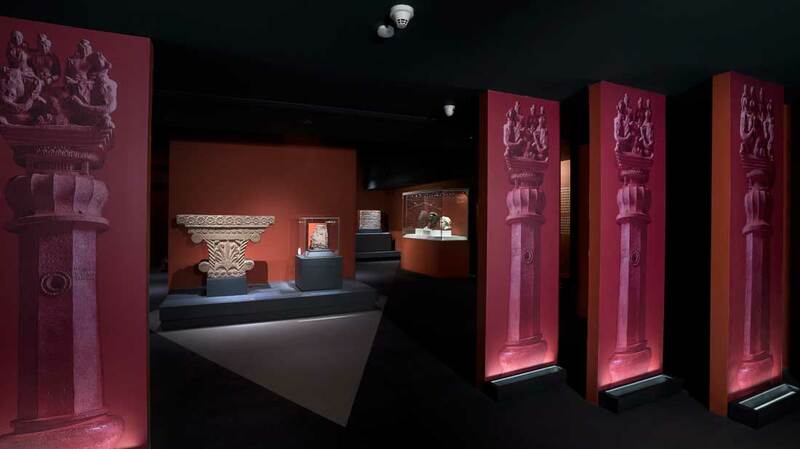 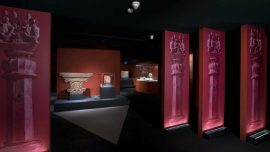 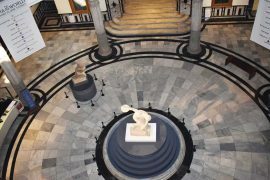 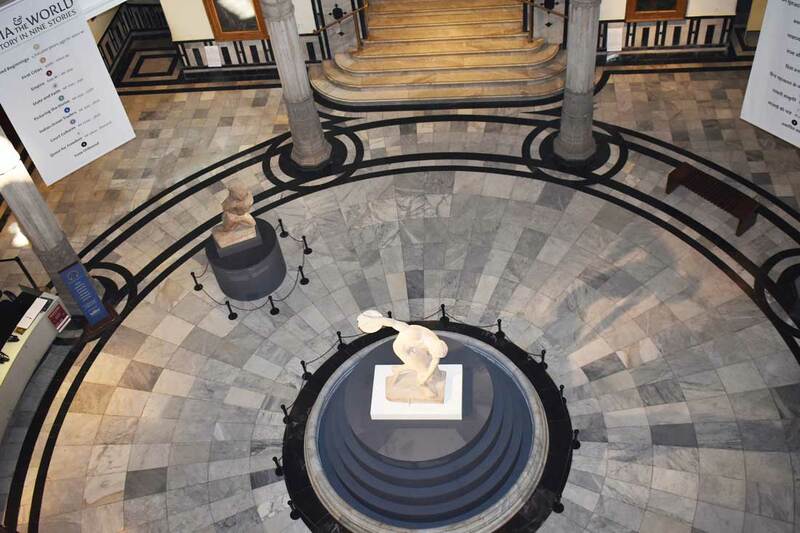 The exhibition is designed around a wide variety of objects, from figurative representations and large-scale sculpture, to inscriptions and coins, paintings, jewellery and tools. 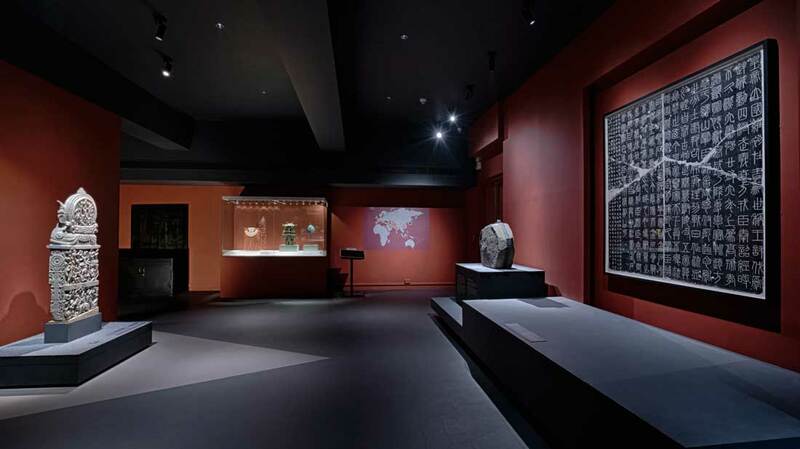 Together, they demonstrate the potential to unlock diverse stories and histories. 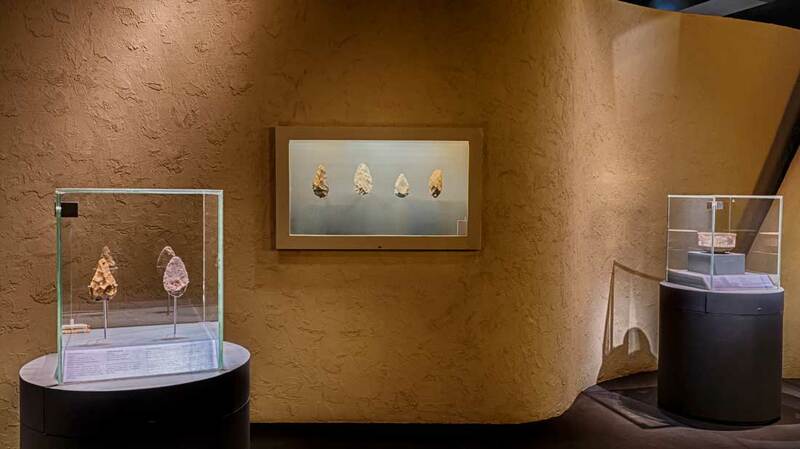 Shared Beginnings talks of early man and his cultural evolution, 1.5 million years ago. 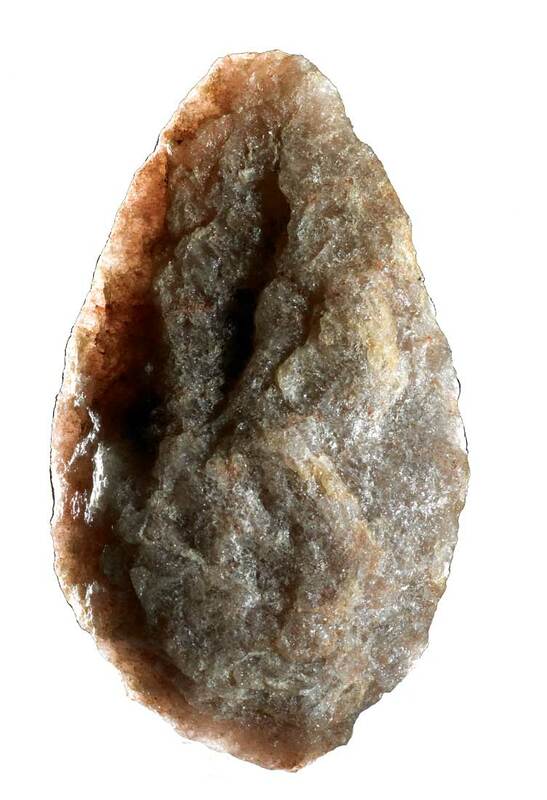 Here, the white quartz hand axe of Olduvai tells the story of man’s battle for survival that is reflected across the world in much the same way. 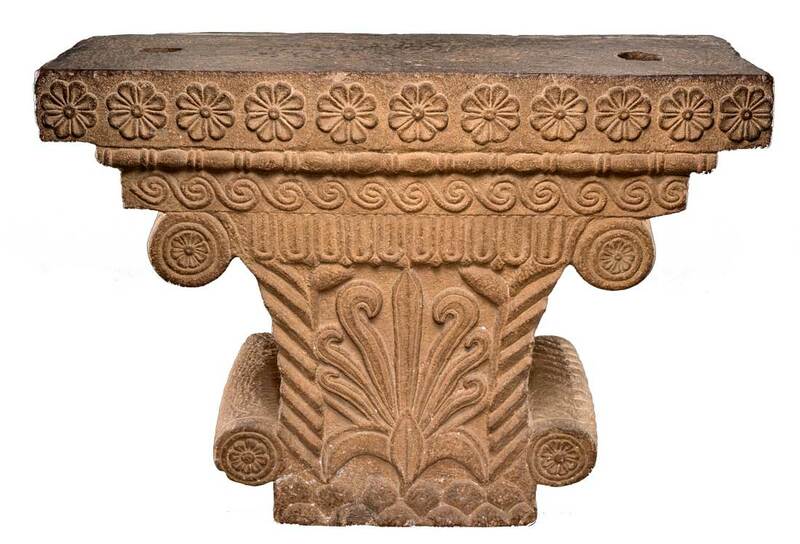 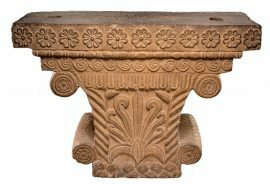 First Cities travels back to 2,500 BCE when man settled down in urban dwellings. 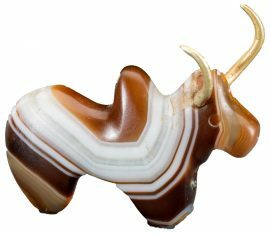 Highlights include a tiny banded agate bull with golden horns from Harappa alongside a series of minute weights and measures from Mohenjodaro. 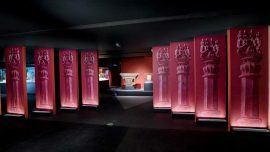 Other sections focus on the great Empires of the word (500 to 2000 BCE), State and Faith (400 to 709 CE), talking about how rulers used religion to endorse kingship and strengthen their grip over their subjects. 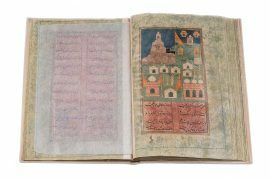 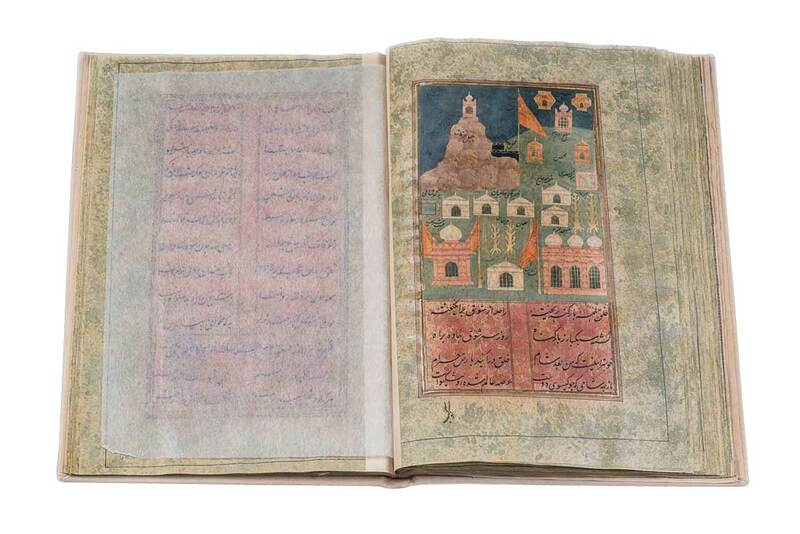 Indian Ocean Traders (200 to 1500 CE) showcases the period when the exchange of goods, ideas and cultures began while Courtly Cultures recreates the opulence of the Mughal courts and contrasts it with the grandeur of the Ottoman and Chinese courts. 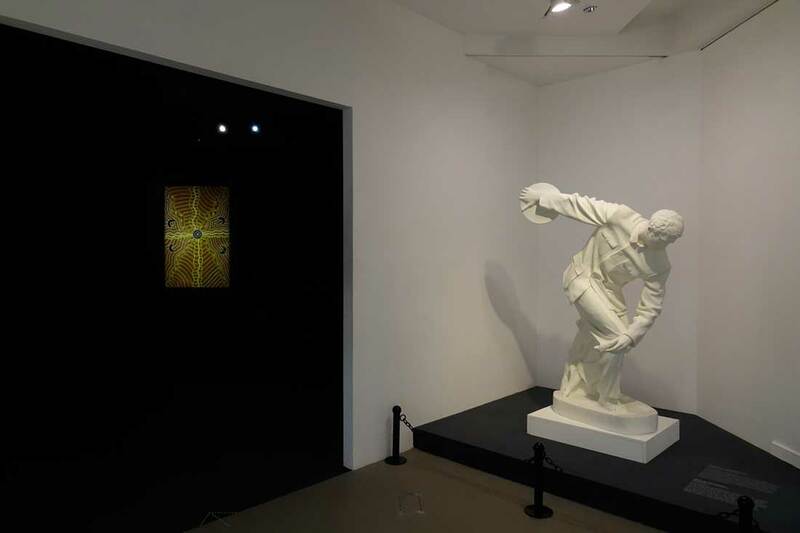 The Quest for Freedom draws the exhibition into a more contemporary time frame focusing on the struggles that different countries have waged against conquest and colonial oppression. 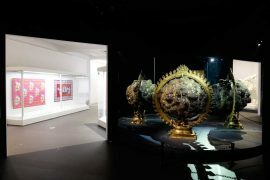 Time Unbound brings the exhibition to a close exploring how different cultures have conceived different notions of time and history, not always in a linear way. 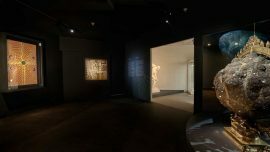 These last objects, which are contemporary, offer different perspectives on time and our relationships with the past.